Here are notes shared by real professionals working for obd2eshop.com. 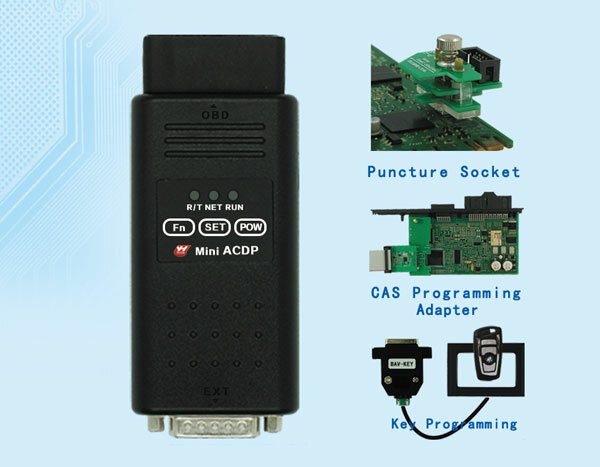 3 features of Yanhua ACDP Mini are highlighted for BMW CAS and FEM/BDC programming, esp. for newbies. 3. No worries of data lost! 2、Click the icon in the top right corner showed in the picture and open it in the corresponding browser. Q3: The 4 fixed pins of FEM/BDC bridge are not inserted into the PCB hole? A3: The 4 fixed pins of FEM/BDC bridge are oriented in the direction of the bridge and have no actual electrical performance. The functions are not affected by this. Only the RES of FEM/BDC has electrical performance. Question：How to use the switch on the OBP+ICP adapter? Answer:1:All operations except the DME read and write the ISN code option operate by pushing the switch to gear “NC”. 2: When you do the DME read and write the ISN code option, when prompted as shown in the figure below, push the switch to the gear "CAN_R_Join"